augustus 2014 | xiv + 216 blz. 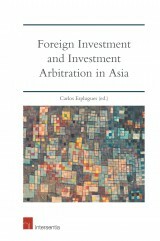 This book addresses the role of legal institutions in economic growth. The massive differences in country incomes are largely the product of economic growth, which is in turn shaped, influenced, and determined by the legal infrastructure of a country. 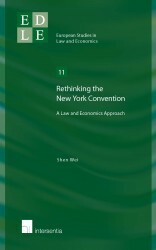 There has been a growing interest in exploring the connection between legal rules and economic growth since the 1990s, which can be attributed to the influence of Harvard economist Andrei Shleifer and his colleagues (the so-called LLSV). 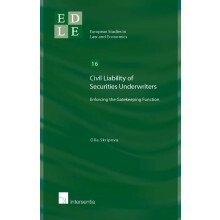 LLSV substantially contribute to our understanding of the economic consequences of legal rules. However, their studies face serious challenges, and leave a number of questions unresolved. This book is part of the academic efforts to fill gaps in LLSV’s studies. The contribution of and controversy over LLSV’s studies are systematically reviewed. In addition, the book scrutinises the relationship between law (both corporate and securities law) and stock market development, analyses the role of property law in economic development, and examines the growth experience of China. Does Law Matter for Economic Growth? will help readers to reach a deeper understanding of the relationship between law and economic growth by revealing the weaknesses in and problems with LLSV’s studies, by offering new evidence (historical, comparative, and empirical) that cast serious doubts over LLSV’s conclusions, and by analysing certain apparent anomalies that can hardly be explained by LLSV’s theory. A more cautious stance regarding the law and growth nexus is ultimately reached. Law matters for economic performance, but the extent to which it matters is defined by a broader context within which political, legal, economic, and social variables influence one another and evolve together over time. It is therefore imprudent to embrace legal reform as a panacea for economic backwardness. 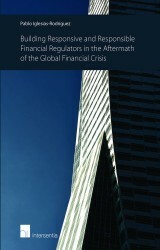 The analysis offered by this book makes it an important resource for academics and policy makers alike.